Today was Day #5 of Chocolate and Flowers Theme Week. Both the Dos Rios and Cardamom Black Pepper bars were crafted from cacao beans from Guayas, in the Dominican Republic. 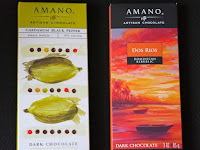 Like many bean-to-bar chocolate makers, Art Pollard at Amano has a relatively close working relationship with farmers that produce their preferred cacao beans. 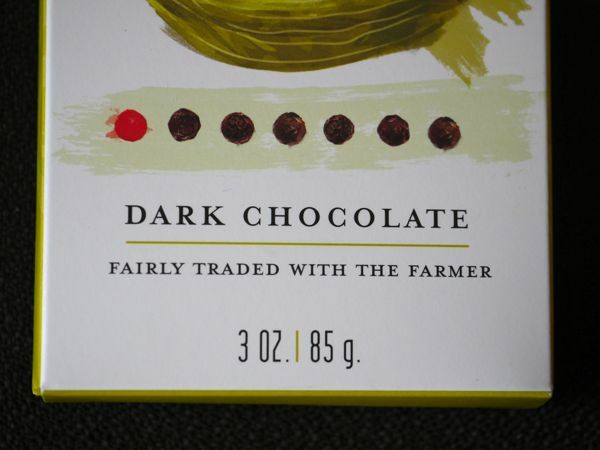 And rather than go with a fair trade certification logo, a note on the packaging states: "Fairly Traded with the Farmer." I'd covet that direct relationship too if it guaranteed me continued access to magic beans like this. The Cardamom and Black Pepper bar takes this same Dos Rios bergamot orange, heady floral-citrus flavor (think Earl Grey tea), and kicks it up a few notches. I also tasted light green fig, cardamom, almond blossom, green tea, and finally got a little lavender after a a few bites. Embedded sugar crystals enhanced the sparkle factor and gave the bar some crunchy texture. The single estate black pepper flavoring captured the pepper's floral notes, and not its heat. 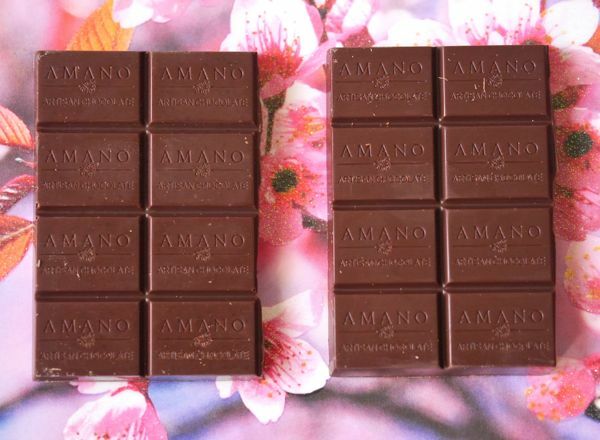 The Amano Cardamom Black Pepper bar was a relatively recent addition—part of a group of bars with new packaging and with flavor inclusions. Previously the company offered a cardamom and black pepper truffle; this was a bar version of that award-winning confection. *I readily admit my biases. 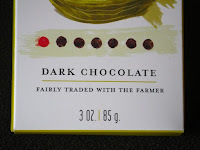 I like chocolate with all sorts of complex flavors: chocolatey, nutty, citrus, etc. I love floral and umami notes and flavor inclusions. They may not be everyone's cup of tea.